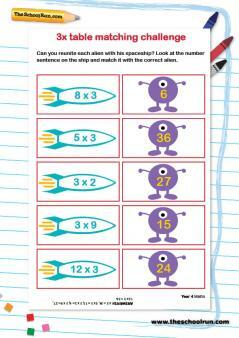 Once your child is confident with the 2 times table it's time to move on to 3s and 5s. Follow educator John Bald's advice to help you support your child with the 3 times table and find links to 3 times table worksheets and games. The 3 times table is a little harder to learn than the 2 times table, but only a little, as the numbers are still fairly small. 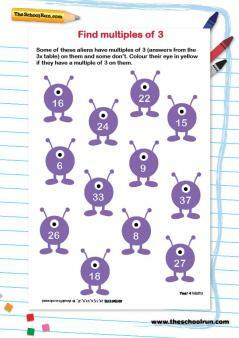 I start practising the 3 times table once 2s are secure (though perhaps still a little slow). 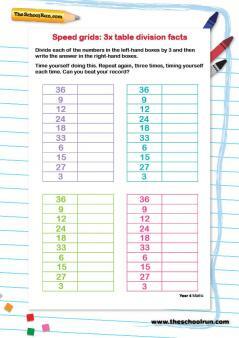 National advice, until recently, has been to move from 2s to 5s, as their repeating pattern makes them easier to learn. From the pupils I've taught, though, moving to 3s is better, as it builds on the mental template created by 2s, and gradually extends their understanding of numbers rather than making a bigger leap, as is needed with 5s. 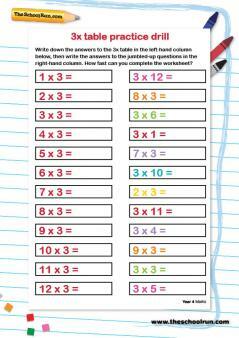 As with the 2 times table, it probably helps to take the table up to 5x first if you child has the slightest difficulty with it, and then to practise this before moving to the whole table. If you need to use coins to make a physical example, put 1p on top of 2p to make 3s, and count up if you need to. 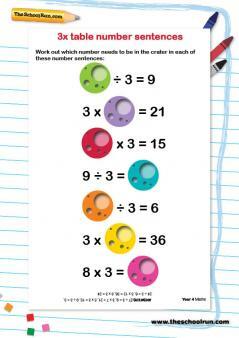 It's important, also, to practice any points of difficulty carefully – these are often 3x7 and 3x9. 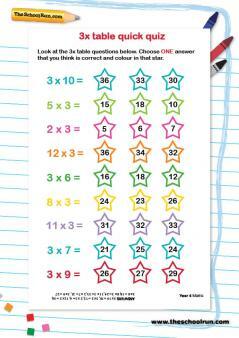 I often find that children remember 5x3 fairly easily, and so go back to that to build up. It's a big step to add 3s to 2s, and not just because of the maths. 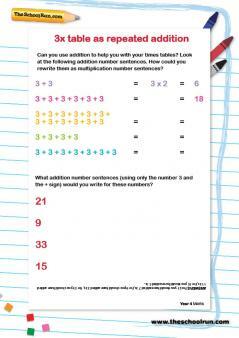 Switching between the two columns of numbers in multiplication tables is a skill that needs to be learned if they are to be used, and this approach allows a focus on it while keeping the arithmetic simple and manageable. Be patient. Children make mistakes, and don't do it on purpose. If you do feel impatient, try not to show it, either in your facial expression or in your voice. Accuracy is more important than speed and nothing slows us down more than making a mistake. So, don't try to go too quickly. Once your child is sure, speed will gradually build up. 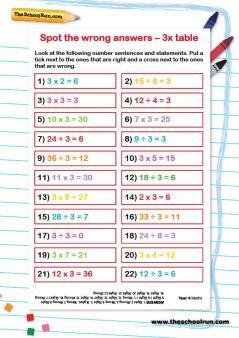 Do use the technique of asking questions from the multiplication table when your child is not expecting it. Make a game and a joke of this, and try to get them to beat you by knowing what you're going to ask in advance. Give particularly strong praise when your child gets something right that they've previously got wrong. 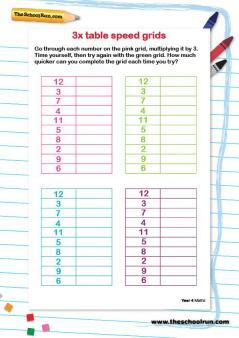 For a selection of 3 times tables worksheets see below or TheSchoolRun's Times Tables Learning Journey.